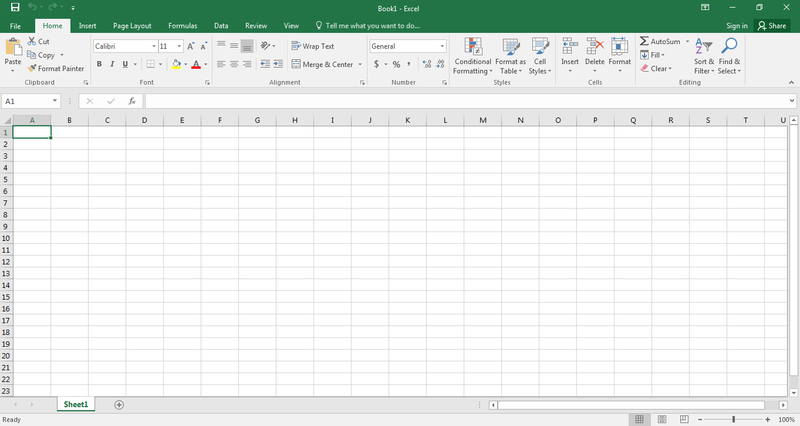 Microsoft Excel is the spreadsheet application that comes as a part of Microsoft Office. It allows you to work on data in an organized way. It has been used widely to store a large amount of data. Data and information can be analyzed by using different commands and functions. It has amazing features that allow working on multiple kinds of files easily. 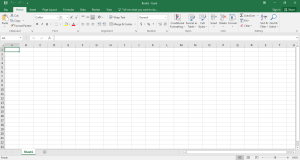 Microsoft Excel 2016 is an advanced version of Excel with added features. 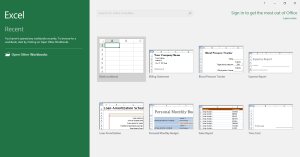 When opened initially, the interface of Excel 2016 appears as follows. Here, you can see the Recent files on the Left side and the available templates on the right. You can choose the template according to the kind of information you want to store. 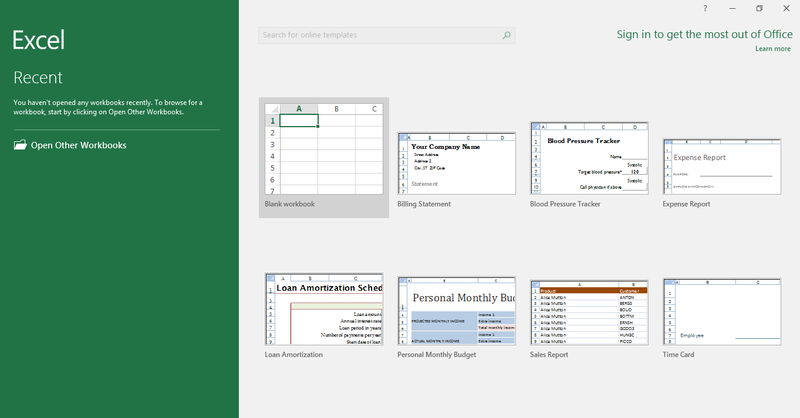 Excel 2016 also gives you an option of search new templates online by choosing the category or you can also enter your specific category. Once you select any template or a blank workbook, you can see the following screen. Here you can see different options stacked in the form of Ribbon and a Toolbar. The Ribbon on the top contains different tabs which contain different commands in the form of groups under the tab headings. If you are looking for any command, go to the related tab and select the commands. Auto Hide Ribbon: This will help you in working in a full-screen mode by hiding the ribbon. In case you want to see the ribbon, select Expand Ribbon. Show Tabs: This will hide all the commands but the tab heads will be visible. When you click on the tab, you will find the options. Show Tabs and Commands: This will maximize the Ribbon with all the tabs and commands. This is the default option.